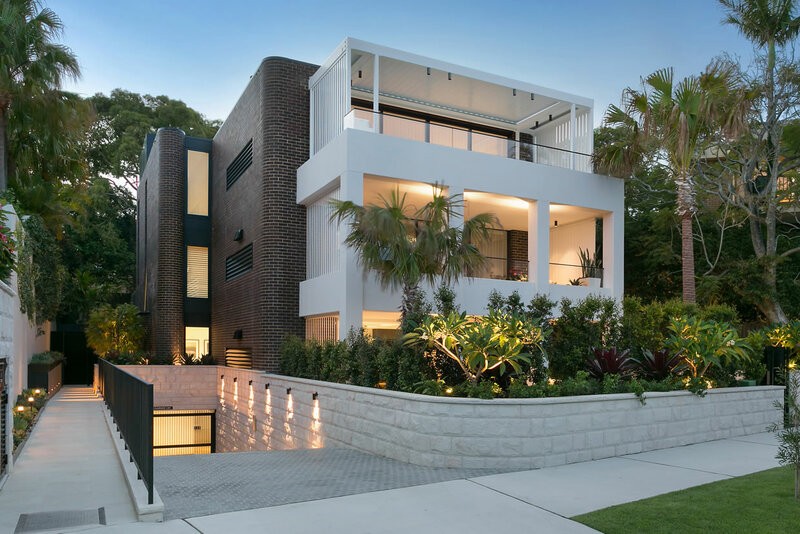 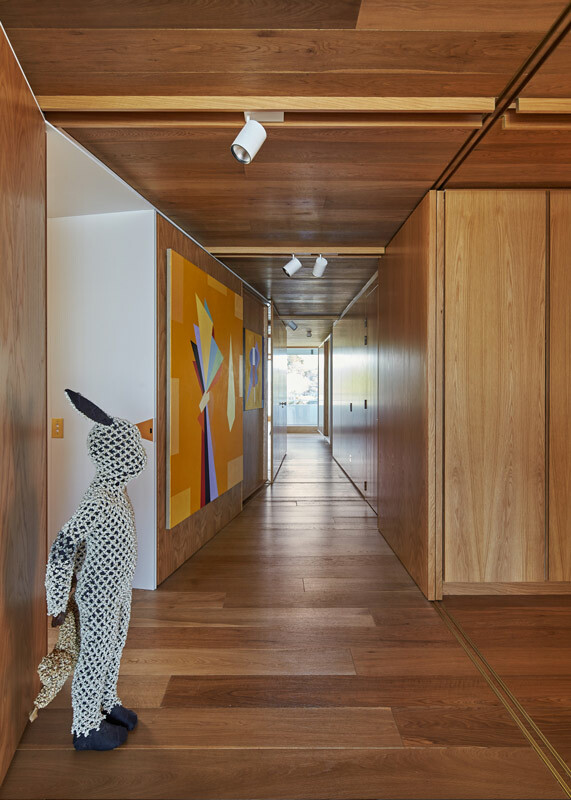 Whilst most apartment renovations focus on surface treatments this Darling Point apartment fit out seeks to capture and embrace the faceting geometry of the original 1970s apartment building. 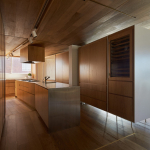 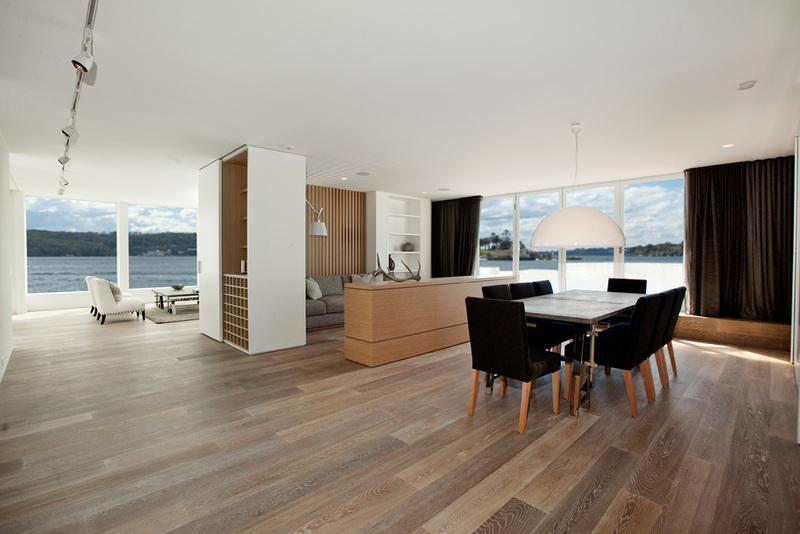 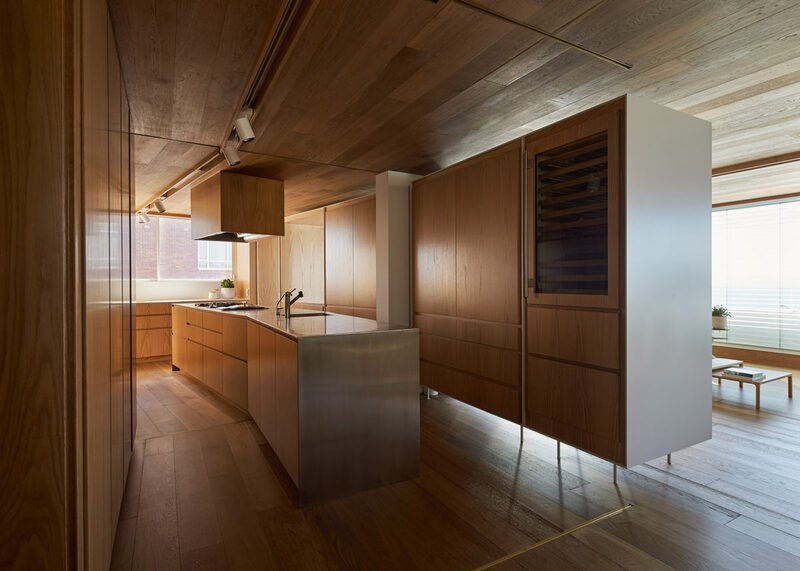 The 160m2 apartment is designed for a couple downsizing from a large family home. 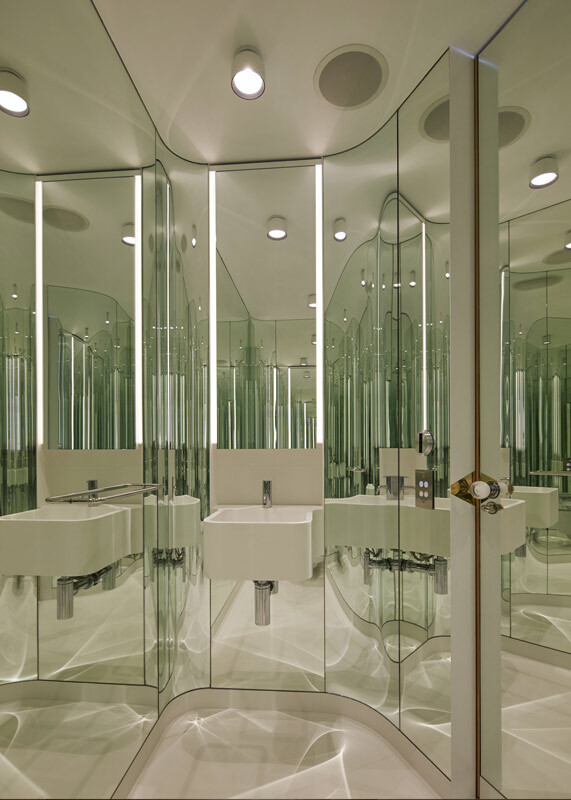 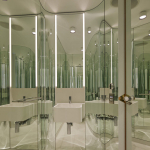 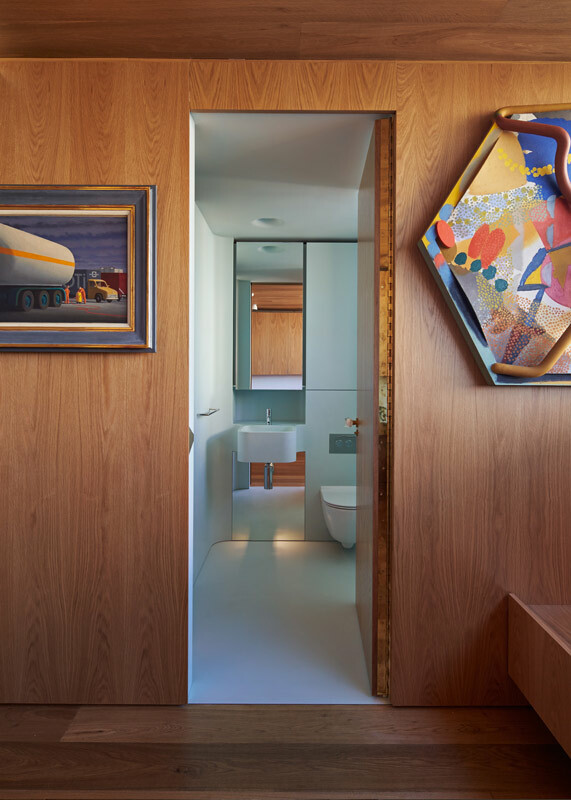 The clients approached Chenchow Little because they sought something beyond the norm that provided a degree of formality whilst also embedding a sense of surprise in the interior concept. 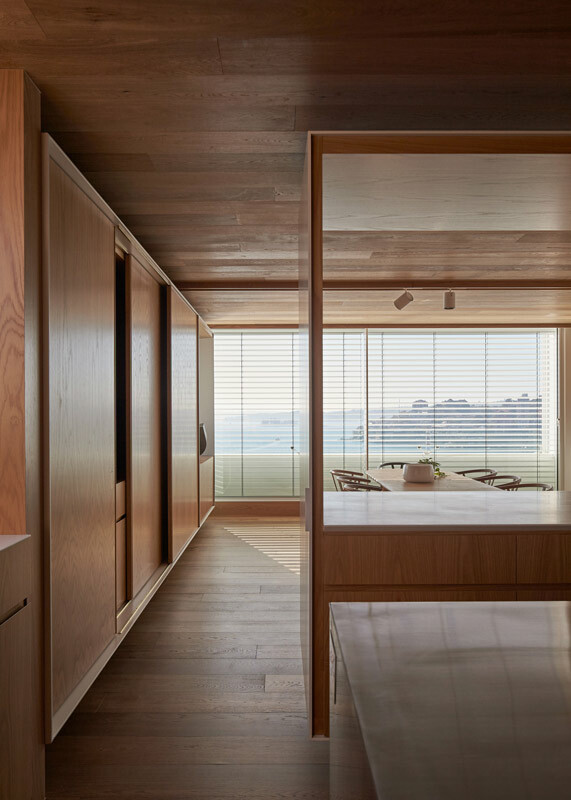 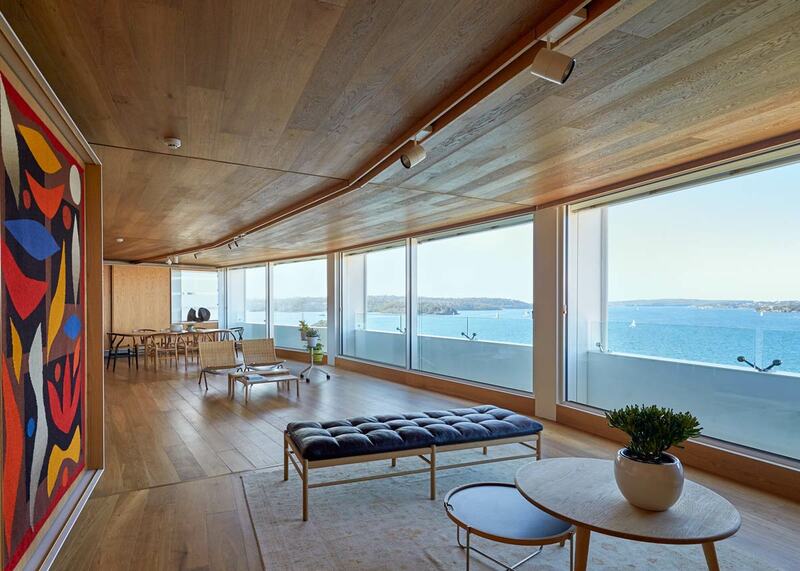 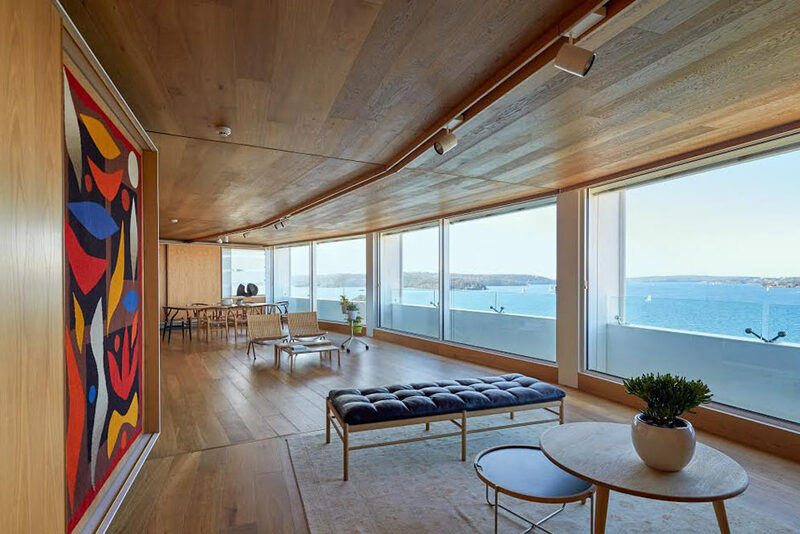 The main living space occupies the three structural bays, each with a different orientation and geometry, with openings that can be closed off but also used to frame views and provide connection between rooms. 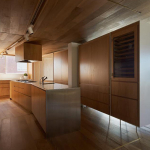 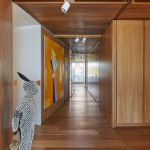 There are many plays with perspective as the lighting track follows the kinking geometry of the room, with the floorboards and timber ceiling emphasising the bending of the space to give a sense of elongation. 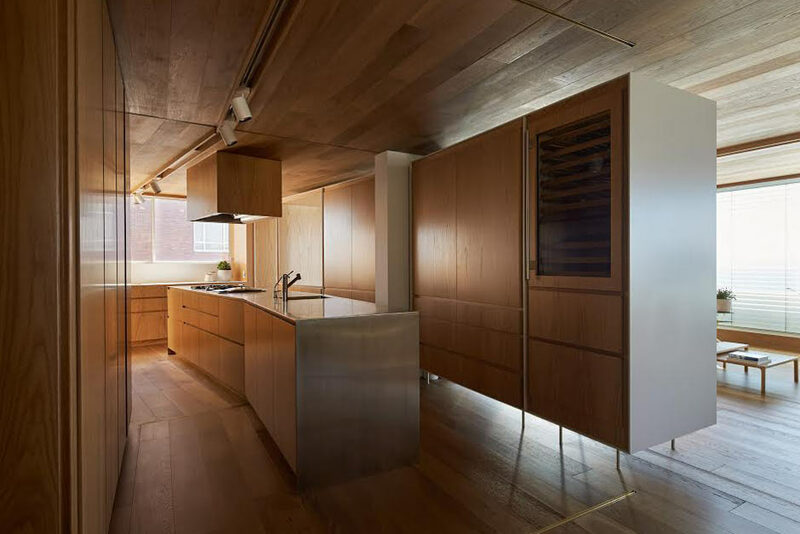 The existing geometry finds further expression in the extensive joinery that defines the interior. 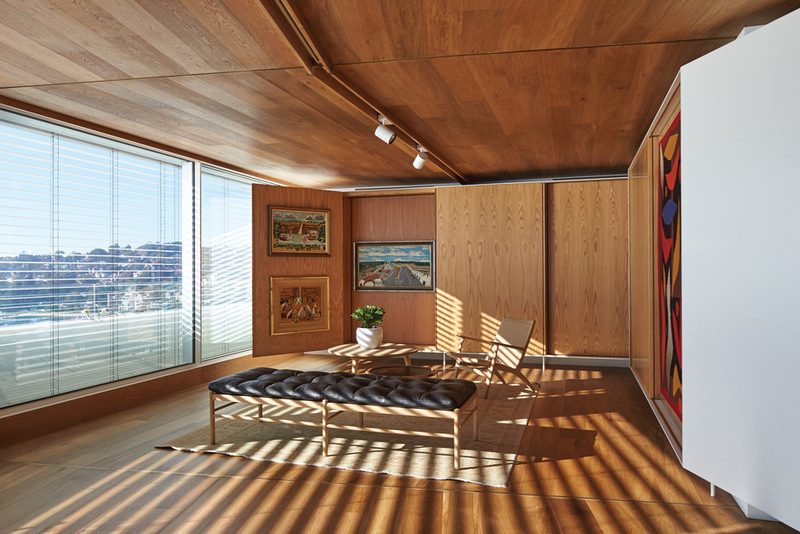 Joinery pieces, made in American Oak, appear to float and are designed to house the client’s extensive art collection. 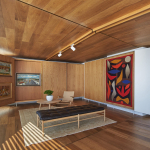 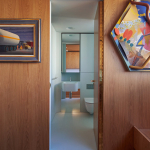 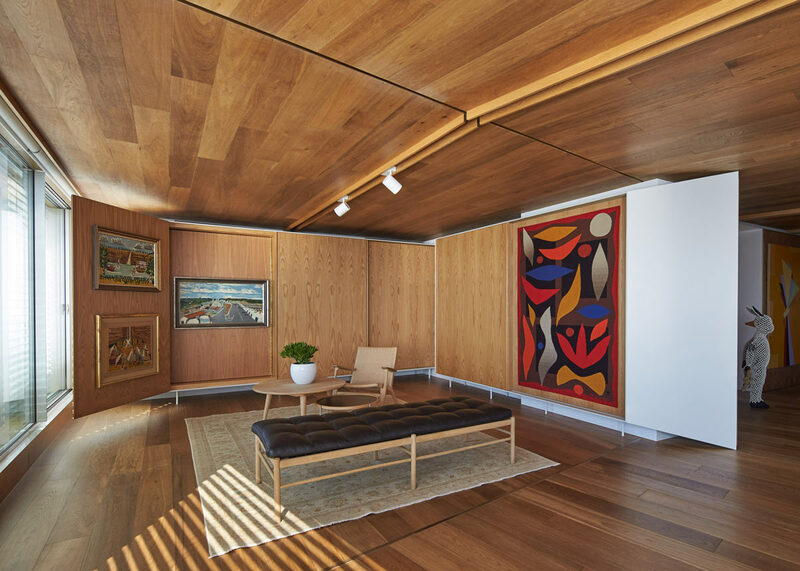 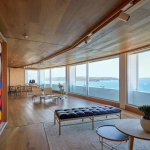 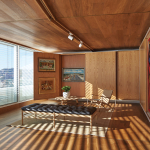 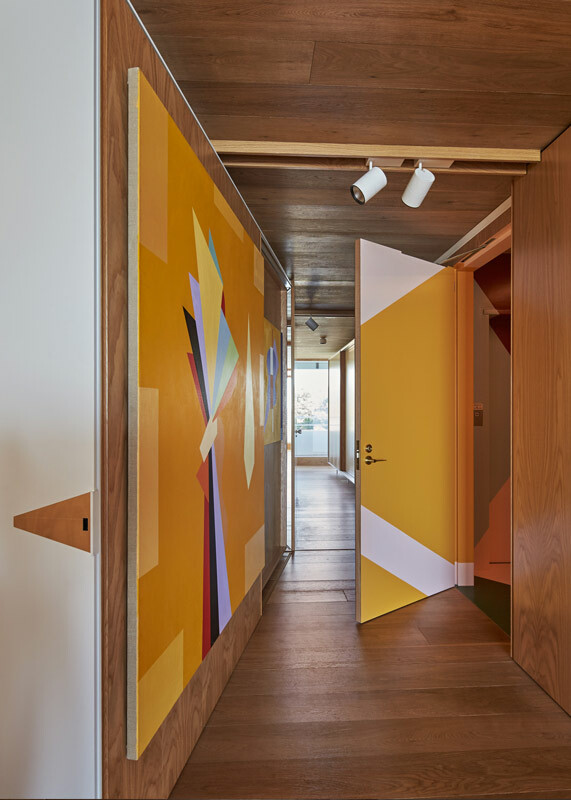 Recessed panels have sliding or hinged doors that offer up additional surfaces that allow the owner to curate a fluid, rather than fixed, art display for the 25 paintings housed in the apartment. 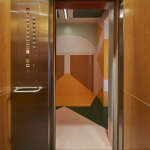 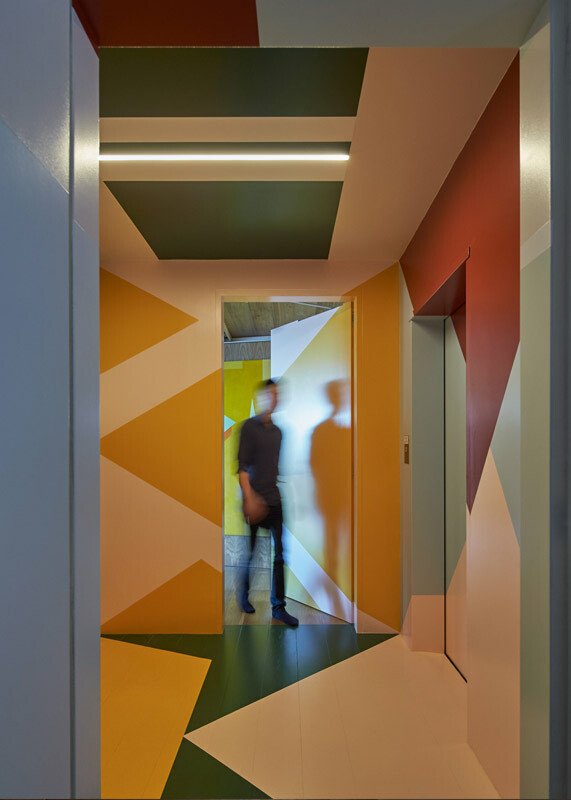 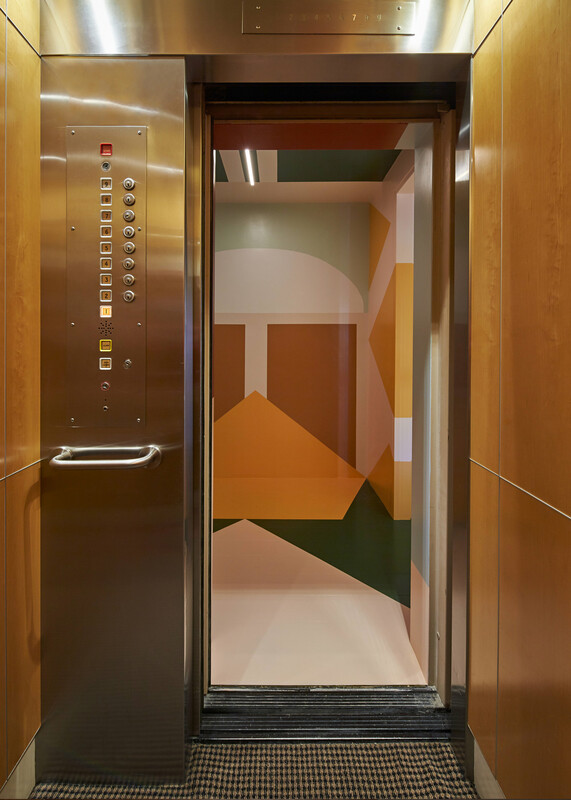 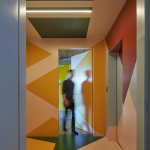 The entry from the elevator displays a mural by artist Esther Stewart that covers the walls and ceiling in a geometric pattern true to her distinctive colour palette. 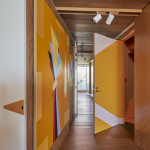 These colours are further echoed and highlighted throughout the apartment.